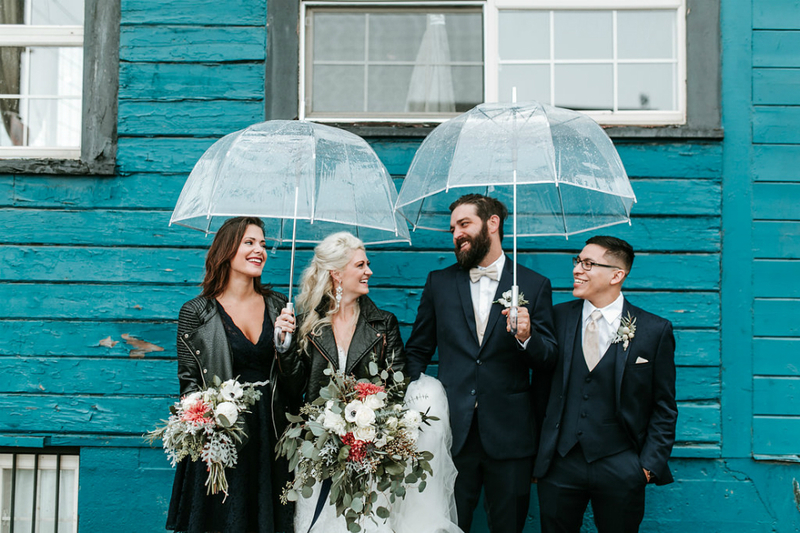 An alternative to the traditional bridal show, The Big Fake Wedding has been inspiring brides, grooms and vendors across the country with one-of-a-kind events styled and curated to feel exactly like a real wedding. Formerly known as The NotWedding, The Big Fake Wedding includes dinner, drinks and an emotional vow renewal, and like any good wedding, is capped off with a fabulous dance-party reception. Vendors are hand-selected and perform their services as they would at an actual wedding, allowing them to showcase their talents to real brides and grooms-to-be, who serve as the guests. This year's Seattle event was held at WithinSodo and featured a line-up of talented area vendors (see below for the full list). The chosen inspiration for the event was "Cyanotype" - the process of covering a surface with a photo-reactive solution and exposing it to light. Whatever material is placed on top of the surfacce will block the light, leaving a dreamy white image surrounded by a sea of bleeding color. It doesn't get much more ethereal than that. 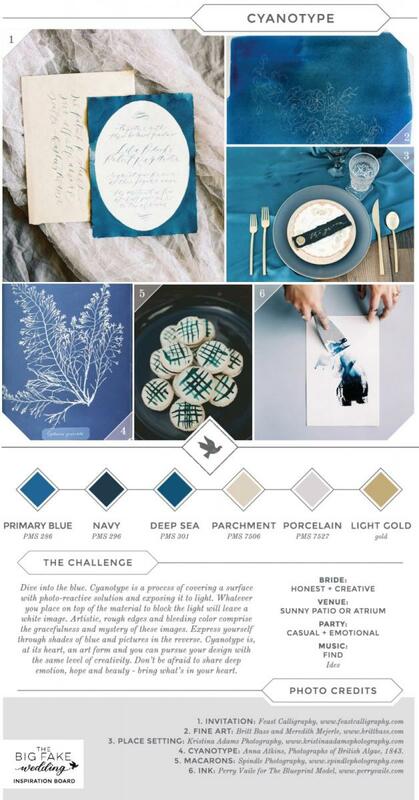 The selected vendors were given the below inspiration board to drive their creative processes, and the result was a literal Pinterest board come to life, leaving us with a fresh, romantic way to do the trending jewel-tone palette.